Within years, almost every home in Britain, and many other countries around the world, could be equipped with a device capable of delivering an array of remote health and care services—a smart meter. A small but growing body of research (captured in a recent review by colleagues and myself) highlights the range of ways in which changes in people’s use of appliances, and therefore use of electricity, can help monitor health. For example, if a dementia patient usually makes a cup of tea at lunchtime, but one day does not (perhaps as a result of a fall), this could generate a text message to relatives or carers suggesting that they check in with her. Smart meters record electricity use in the whole home and can share half-hourly data with a regulated central body, which is passed on to energy suppliers for use in billing. The meters also monitor real-time usage use every ten seconds or so, and with the help of a “consumer access device,” people can choose to share these data with selected third parties online. It is these higher frequency data, with the help of disaggregation algorithms and machine learning, that allow recognition of individual appliances and usage patterns. Our report identifies research around a range of potential applications, from recognizing inactivity (as in the kettle example above), to sleep disturbances (through unexpected activity at night), memory problems (through leaving appliances on for unusually long periods) or maintaining poor living conditions (through not using heating or showers). This can be used not only to look out for acute events such as falls, but also monitor the progress of conditions, such as the onset of sundowning in Alzheimer’s, which may require changes to care. It is also possible that useful new diagnostic data could be provided, or that population-level analytics could be performed (for example, hypothetically, to study insomnia near airports). This new approach to using digital energy data holds the potential to offer the benefits of traditional telehealth such as avoided or reduced hospital stays, and reduced burden on carers. It is likely that smart meters will be almost ubiquitous in a few years’ time. They are low cost, versatile and provide historical half-hourly data (in GB they store 13 months worth of electricity use data). They are also “always on,” and can’t be forgotten or misplaced like personal alarms. But this novel use of energy data also presents challenges. Informed consent for the use of smart meter-based services would be required in the same way as for any other telehealth offering. Unlike many such offerings, however, no dedicated technology is required (making it comparatively invisible) and the range of uses is broad, making it potentially harder for users to understand exactly what is being monitored. Evidence collected so far by Smart Energy GB shows low levels of public concern about privacy and smart meter data. This may partly be a reflection of the fact that, like health data, smart meter data is subject to tight regulation. However, the useful high-frequency data pass out of this protected infrastructure as soon as they are shared with unregulated third parties online, as they would need to be in order to inform health and care services. Both this and the wide monitoring potential of such services means that providers will have to generate sufficient trust among users. Given that personal information is already widely shared through channels such as social media and fitness tracking apps, this does not seem an insurmountable challenge. Reliable security is essential and should always be a development priority in this and wider work around smart devices. I hope that understandable caution around data privacy does not act as a barrier to progress in this area. We need more interdisciplinary research as this area has so far been dominated by computing and engineering departments. The key here is giving a greater role to health professionals to determine the ways in which smart meter-based monitoring can be most usefully deployed. There are already good examples of this, such as in the collaboration between Liverpool John Moores University and NHS Mersey Care. Research should also start to look beyond what is technically possible to focus more on the experience of users (i.e. patients, carers and health professionals), including around consent and privacy. 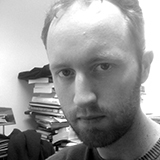 Michael Fell is a research associate at UCL Energy Institute whose work focuses in part on the uptake of smart energy products and services. Competing interests: This review mentioned in this article was funded by Smart Energy GB, the independent body tasked with communicating the smart meter rollout (in Great Britain) to consumers. Smart Energy GB is the independent body tasked with communicating the smart meter rollout (in Great Britain) to consumers.